I'm pleased to tell you about One World One Art, cofounded by my friend Motrya Tomycz. It's a new inspirational, creative, networking site for artists (and their patrons!). It features interviews, art news, artistic charities, resources, videos, blogs, chats, classifieds, etc, etc. The first "Meet the Artist" feature is none other than the exuberant Matty Price, our friend the Farm Boy! 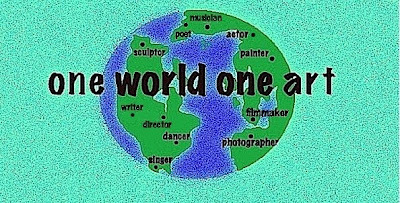 One World One Art is free to join, so check it out and pass it on. Who knew he'd like to yodel?! Now that's exuberance!